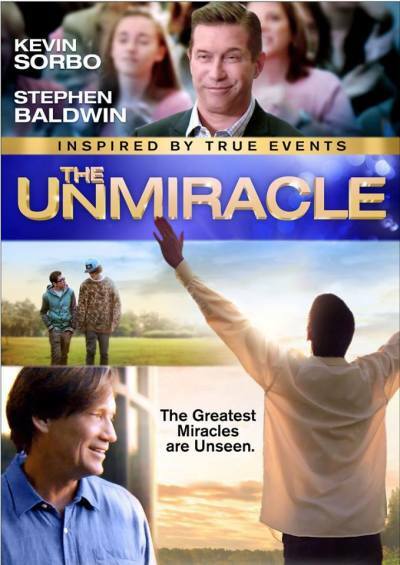 Actors Kevin Sorbo and Stephen Baldwin star side by side in the upcoming faith-based film, "The UnMiracle," about a suburban town that gets torn apart in the aftermath of an accidental teen drug overdose and the miracle that brings them together. Cinedigm and Keep the Faith Distribution announced the release of "The UnMiracle" on Thursday. The movie based on real events stars Sorbo ("Hercules," "The O.C.," "God's Not Dead"), Baldwin ("Faith of our Fathers," "God's Club" and "The Usual Suspects"), Mitch Johnston ("Girl Meets World"), Daniel Fissmer ("Lincoln," "Grimm") and Amy Lyndon ("Ugly Betty," "Law and Order: LA"). In a DVD and Digital release coming Aug. 1, "The UnMiracle" will share a series of seven storylines that are intertwined after the drug overdose of the most popular girl in school. According to a statement shared with The Christian Post, the film will explore the values of honor, friendship, family and Christian faith. "'The UnMiracle' will boast that often the greatest miracles in life are often unseen," the statement read. Along with Sorbo and Baldwin's first onscreen collaboration, it is also the first project by writer and director Andrew Papke. As seen in the trailer, Sorbo plays a minister who has an instrumental role in the lives of teenagers faced with the peer pressure of drugs. Baldwin, on the other hand, is shown struggling with faith as some scenes show him praying and others view him struggling and turning to substances for answers. For more information, visit The UnMiracle on Facebook.